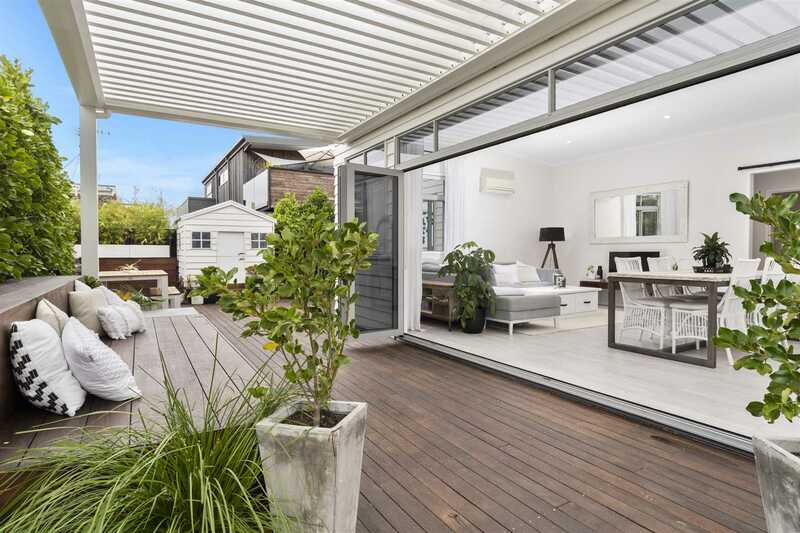 Be surprised and excited when you enter this stylish executive home just metres from the beach. The open plan offers elegance throughout with a timeless yet simple kitchen as the hub of the living - sun drenched lounge/dining flow to the well- appointed outdoor living space with Kwila decking and an automated roof for all year round entertaining. Four bedrooms and two stunning bathrooms feature in this impressive home. Located in a central part of Mount Maunganui with access to all amenities that the Mount has to offer - extras abound this property - too many to list which means you need to inspect to appreciate this private oasis. Loads of off-street parking with room for a boat. Close to schools, shopping and transport. A great family home or superior beach house - call now for immediate inspection. Chattels remaining: Fixed Floor Coverings, Blinds, Curtains, Light Fittings, Dishwasher, Waste Disposal, Electric Oven with Gas Hob, Rangehood, Heatpump x 1 & 1 Remote, Heated Towel Rails x 2, Security System/Alarm, Top Bunk Bed, Wall Heaters x 2, Clothesline, Fish Filleting Bench, Electric Gates, Underfloor Heating, Electric Louvre Roof, 4 x Garden Sheds.